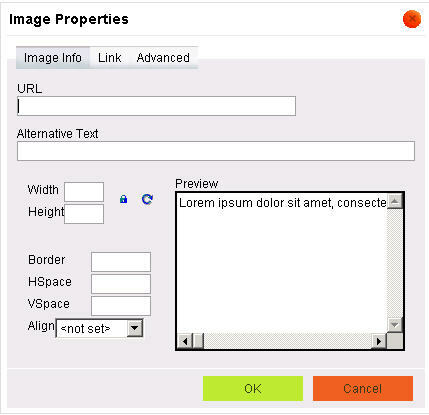 I have encountered some very strange behavior in IE 6 & 7 (not so visible in IE 8) regarding the Image Properties dialog, Image Info tab when integrating ckFinder. If you look at ckEditor installed w/out any file browser information included there does not seem to be any visible issue. 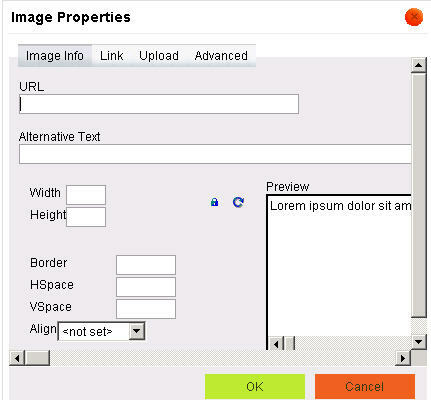 //configure the fileBrower to enable "browse server, upload, etc." If you scroll the the far right of the above image you see that the alternative text box just fills the page and the browse server button is well off the page to the right side in both IE 6 & 7. 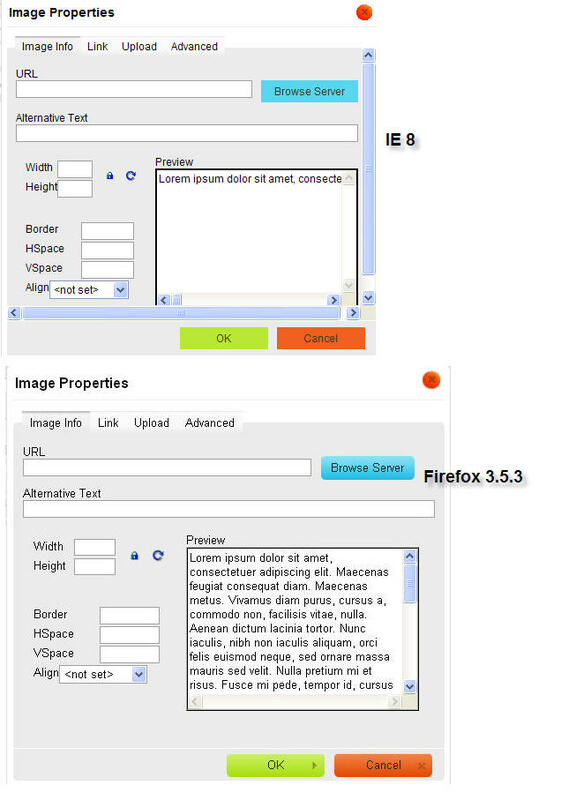 In IE 8 the issue is not as severe, and in Firefox 3.5.3 there is no issue at all as shown in the following image. I guess my question is fairly simple in that I'm not sure what, if anything, I can do to clean up the look and feel of the image dialog (image info tab) for these version of IE. so 36 views and no suggestions? i guess ckeditor + IE is not in focus, as i am having the same issue with IE 7,8. Also not loading "kama" skin background properly. And not poping up new window if filebrowserBrowserUrl defined. hmmmm..
Now I don't feel so all alone anymore. but I didn't had a single reply. I have the exact same problem, except it occurs in all IEs (6, 7 & 8), but only the first time the editor loads. If you reload the page and then open the dialog again everything renders (almost) properly. Almost means there are scrollbars but you can move them only like 10px. I had the same problem an solved it with a few lines of code. Thanks for your tip but unfortunately it doesn't work here. Scrollbars are still remaining all around the dialog box. this bug would be fixed but issue still occurs.